Does life have you down and does success just feel so impossible right now? Is everything falling apart around you or constantly going wrong? Are you having one of those days or even weeks where you want to scream, cry, or maybe even punch a wall? (Don’t actually punch it, I did and my hand SERIOUSLY hurts.. #truestory). Maybe you feel like you’re always going from one challenge to the next and you’re worried you can’t keep going. Like, when will things get easier? 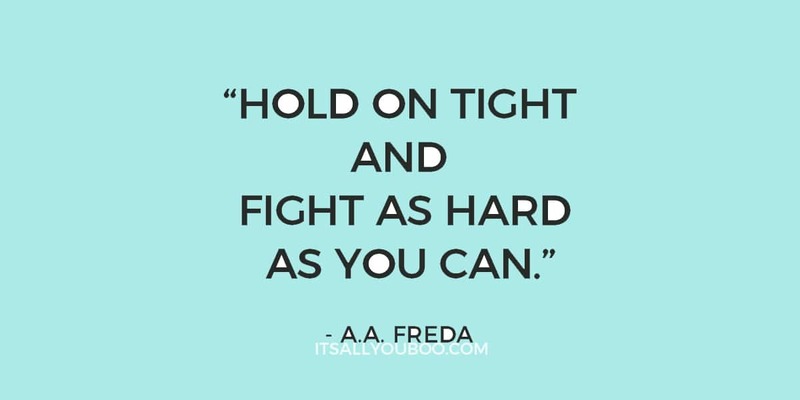 Hang on Tight and Don’t Let Go! I’ve been there… screaming, crying, panicking about things going up in flames or wondering if I’m delusional and if I’m just drowning. Days where I feel like I’m drifting, losing my grip and “control” of things. Do you ever go on what feels like a “losing streak”? Where life is just bouncing you from one challenge to yet another disappointment? You’re beaten, you’re down and you wonder if it’s even worth it to get up again? 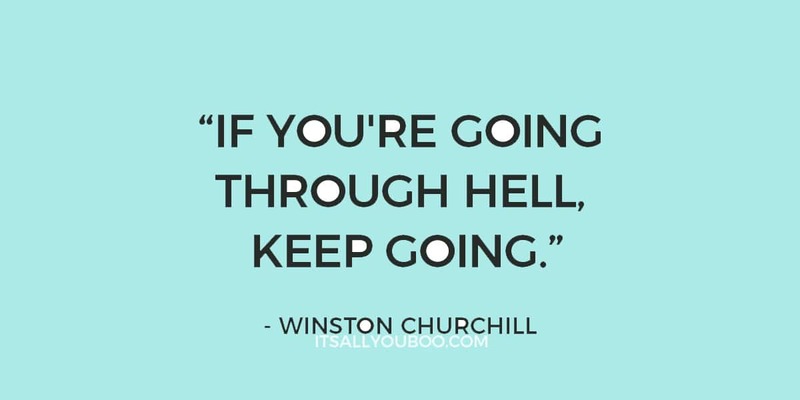 I know things are dark and dreary right now, and you’re going through the thick, mud of it all, but keep going! You can do it, all you need is to believe you can and just wake up every day and do the best you can. 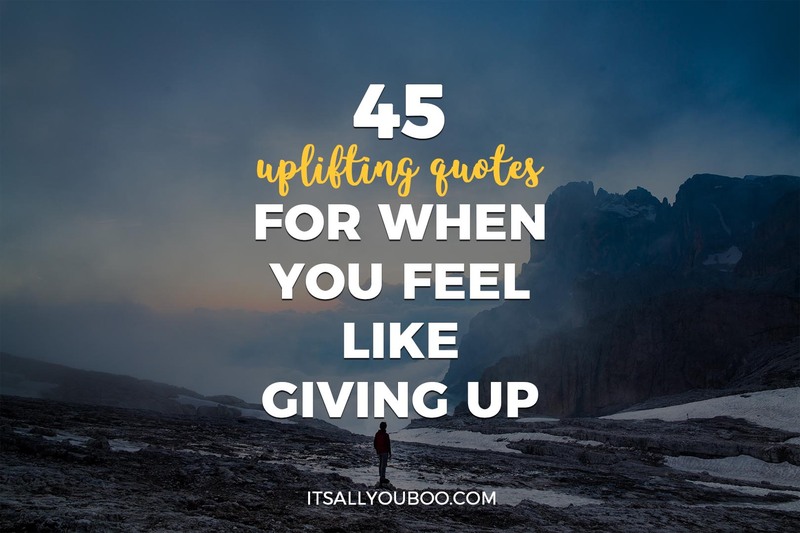 Here are 45 incredibly uplifting never give up quotes for when you feel like giving up. “Never give up on what you really want to do. The person with big dreams is more powerful than the one with all the facts.”– H. Jackson Brown, Jr. These quotes are so uplifting and powerful that they deserve to be shared! Someone could really use the encouragement to keep going! 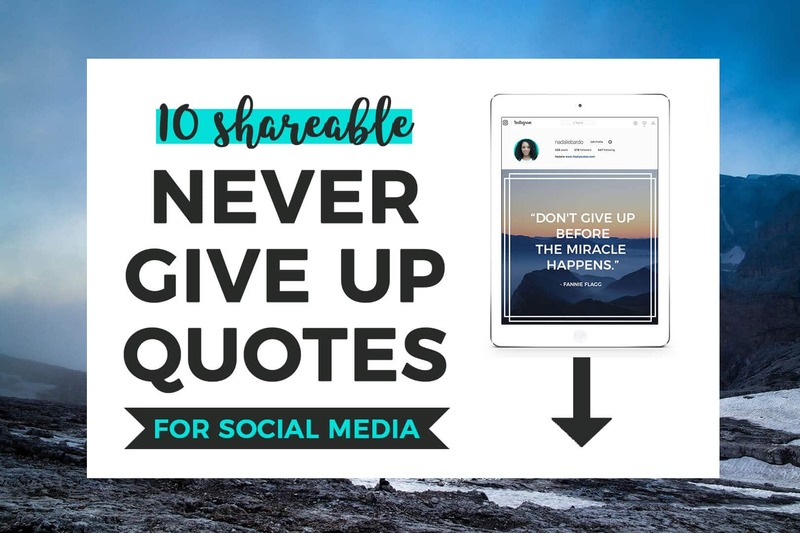 I’ve created 10 beautiful designed shareworthy, never give up quotes for you to share on your blog or social media. This download comes with high-resolution quotes formatted just right for Instagram (square) AND Facebook/Twitter (landscape). Yup, you’re right, that’s 20 images in total. Attribution is not required, but of course, appreciated (@nadaliebardo). If you appreciate these images, all I ask is that you share this post. Do you have a massive goal or dream that you’re trying with all your might to accomplish? They always say no one ever said it would be easy. They sure didn’t, but no one said it had to be hella difficult and nearly impossible either did they? The reality of success is that everything always takes longer than you think, plans more often than not go wrong and success takes hard work and dedication. It requires you to get up when you feel beaten, to show up when you feel broken, to put yourself out there when you feel inadequate and to push yourself when you feel empty. Achieving your dreams and goals is hard! And you will have days you feel so defeated and like you can’t make it happen. You’ll have other days when you just don’t feel like it or when you’ll need to take a break from the magnitude of what you’re trying to accomplish. Entrepreneurship almost requires failure, results after defeat, calls for those who shouldn’t, by all means, couldn’t but do. And you can too! Dig deep friends, this journey needs you to push harder than you ever have before, to be persistent, insistent, and consistent! 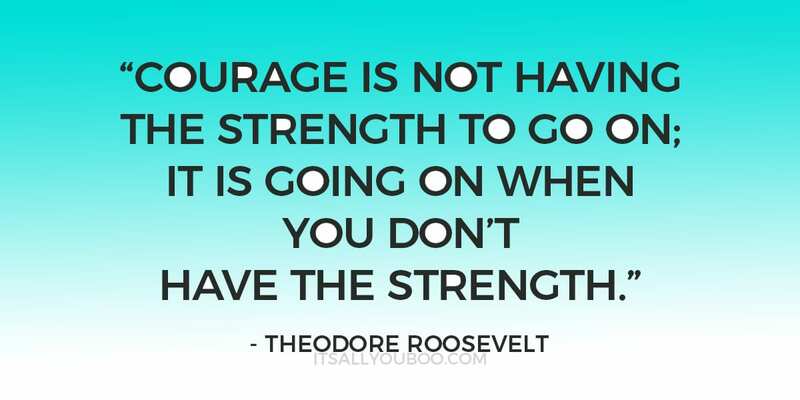 Stop the negative self-talk and thoughts right now, and find the courage and bravery to push on. 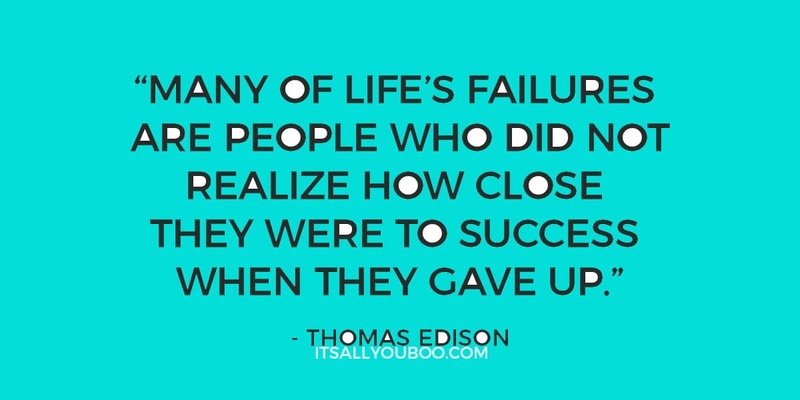 Perseverance is how you make your dreams a reality! NEVER GIVE UP, the dream is still alive as long as you keep going and believe in yourself. Seriously love reading uplifting quotes, thanks for sharing! Aren’t they the best! Welcome, thanks for stopping by! I really enjoyed these. Robert Frost is one of my favorite poets, so I was happy to see him quoted here. OMG yes, he is simply the BEST! Thanks Sandra! Me too, I carefully selected them to each just give me chills. OHH, I would so love to join. I shall find you and send you a request. Love these uplifting quotes! I’m definitely gonna use some. AWESOME! They’re so perfect for memorizing and just telling yourself when you feel down. So inspiring, thank you so much for sharing! OMG yes, Emily! It’s sooo good, I remember the first time I read that quote I got shivers. 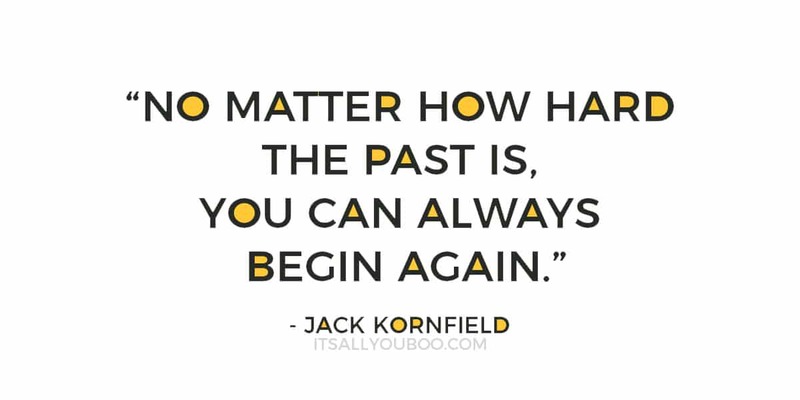 Every day can be a few year, a chance to start again! Some of these quotes are speaking directly to what I’m going through right now. 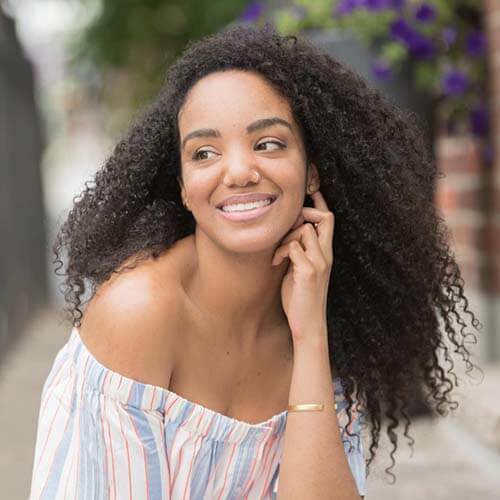 Thanks for also inserting some of your personal anecdotes..it helped to connect with the quotes. I’m soooo happy that you found these quotes right when you needed them. Sometimes you need to hear someone else say to you what you need. Wonderful, Jackie! I am elated that they are helpful. Yay, for being inspired! Only all the time! I love quotes, they help me so much every day. I love inspirational quotes! Thanks for sharing this! What a great choice of quotes. They are all so uplifting. I feel more inspired already! And they’re totally share worthy too, so can’t wait to share them with others :). All the best! Thanks so much! WOOT, I’m really happy you are feeling the inspiration. Go get it! I love this ! I am a lover of quotes, quips and poetry too. Affirmations can really help us change our outlook when we need it most! Yay, I love that you love them! Affirmations are sooo key, I love that you can literally find one for almost every situation you are in. This was so good and I REALLY needed it! Thanks so much for all the encouragement!!!! You are so welcome Crystal! Seriously read this at THE right time!! Thank you for posting this!! Thoughts of giving up have vaugly crossed my mind. But reading a few of these have helped so much!!! 🙌🏾 I LOVE when that happens. I am soo happy you found them just at the right time. Thanks Krissy! I love being bookmarked. Awww I love that Ike! Thanks, friend! Love this so much! I’m obsessed with quotes and this is a great mood booster! I completely agree they so have the power to just change how you feel and think! This was so encouraging and uplifting! It made me feel like Rocky Balboa that I can do anything I put my mind too! *claps* yes! 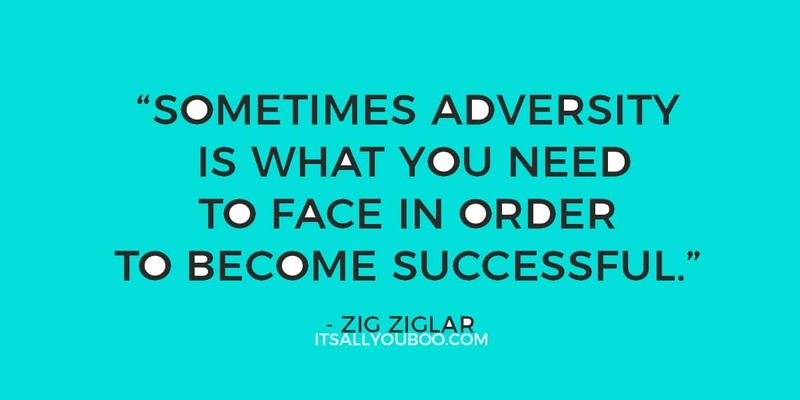 You are a CHAMPION and you can overcome anything. I really believe that! Go get ’em! 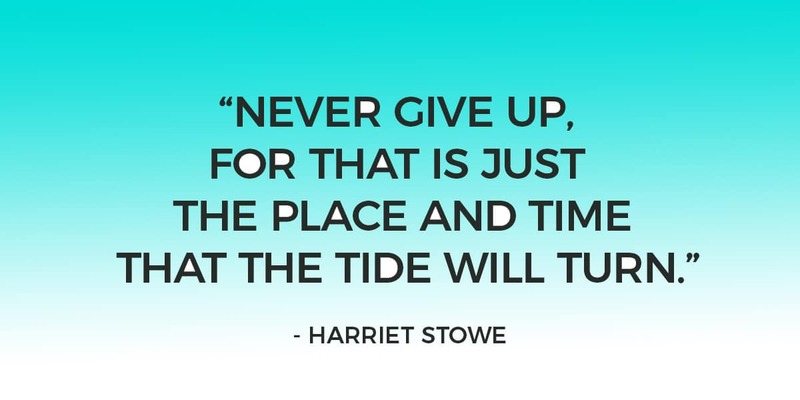 So many great quotes to remind us to never give up. 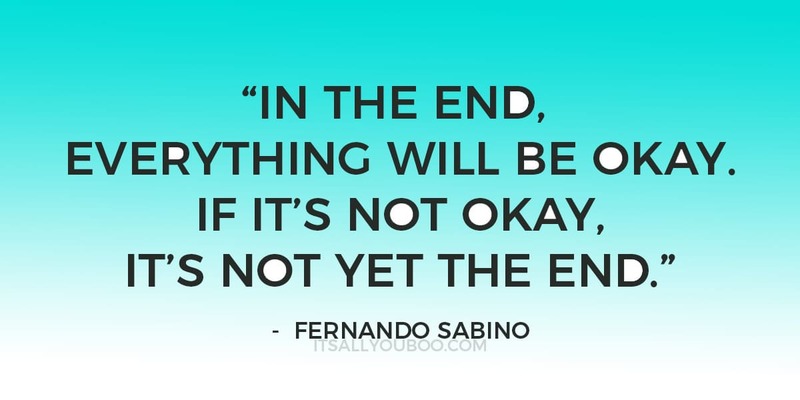 I always enjoy reading quotes when things get tough. ME TOO! 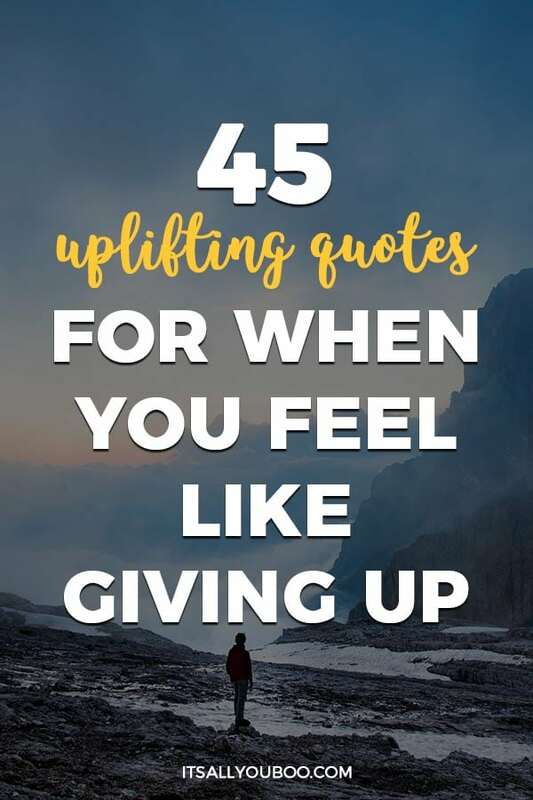 That’s how these quote roundups started for me, I was feeling down and I literally spent 2 days just collecting all the most powerful, moving quotes I could find. I’ve got enough for like 50 blog posts. Lovely collection of motivational quotes .. It help start day with positive vibes ! Loved this post. Thank you for sharing! Also, I really love your site! Great quotes..My favourite is ‘don’t give up before the miracle happens.’ Thanks for sharing. That is SUCH a great one. Just hang in there, your miracle is coming! I so love being bookmarked! It really is a good one, I’ve read it a bunch of times myself already. Far too often in life, we feel like we have been beaten down. These are such great quotes to lift us up during those times. Thanks for sharing them. Great quotes. I LOVE them all!! You are so welcome, Anchal! These are some really great quotes!! Perfectly inspiring on those really rough days! Thanks for sharing! Exactly! This is my emergency post for sure. That really is a fantastic one. I found out that it’s actually originally in Portuguese and translated into English. It’s great inspiration in every language that’s for sure! Great selection of uplifting quotes. Thanks for sharing those! I really needed some encouragement today and quotes are my love language! Thank you for sharing these! My soul needed them! I absolutely LOVE how you put that. My love language is actions, but perhaps my self-love language is quotes as well. They do wonders for me! I love quotes, especially powerful ones. Majority of these is just what I needed to hear. Great post. Sometimes we just need to hear the right words. Thanks for sharing so many wonderful quotes! I totally know what you mean! We can think it, or try to say it in a coherent way, but reading the words of someone else, who just eloquently phrased what you need. it’s something else entirely! Love this! 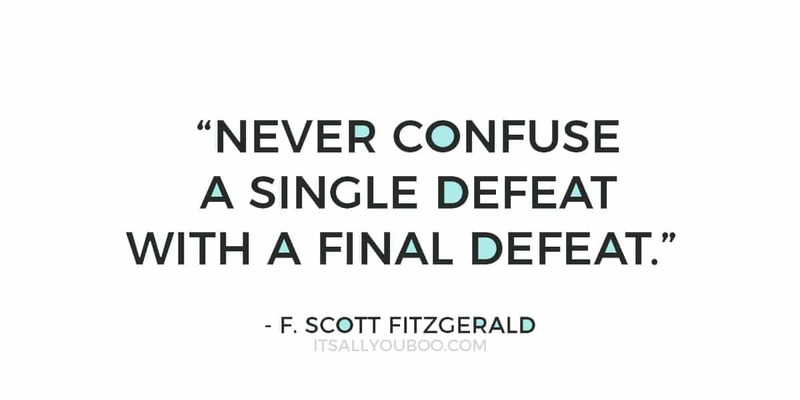 Especially the quote Never confuse a single defeat as a final defeat! I’m all about positive affirmations therefore this is right up my alley! Great post! OMG, yes. I read that quote and it hit home for sure. 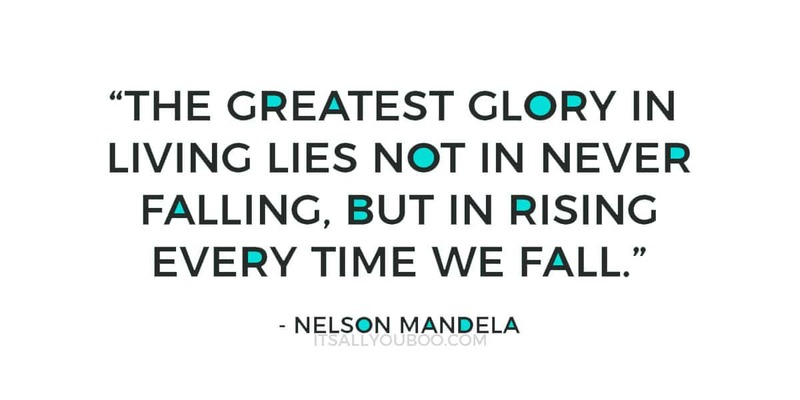 I feel like we can be defeated every day, but as long as we get up and keep going, we are still in the game! We cannot allow ourselves to give in and just give up especially when we’ve come so far. I think these quotes are beautiful and inspiring! I really appreciate you sharing all of these! We really cannot! We must keep pushing, keep going. No stopping and no going back. Great list of inspiring quotes! Whenever I feel low, I hear Sweedish House Mafia’s song “Don’t you worry child, see heavens got a plan for you!” and it really boosts my mood! That’s such a beautiful quote! I really do believe that there is a plan for us all. Haha, me too! He’s so blunt about it. Extremely timely for me. Thank you for lifting me up when I really was ready to quit an important personal journey. Appreciate you. You are so welcome Anne! Gurl, I love when that happens! You are very welcome. I love these quotes!! Life can get rough sometimes, and it helps to have those little reminders to keep going all around you. Thanks for sharing! I so memorized a few for emergencies. Words are powerful. It works like magic. Thank you for the inspirations. I love that – magic you can blog! You just gave me some more quotes to add to my journal. It’s always nice to have something to reference so you can continue to stay motivated. Thanks for sharing these quotes! Yay for new quotes to fill your journal! I’m a quote addict and just can’t get enough. You are so welcome! Wooow! These are all really great quotes! 💕 💕I especially love the quote about how you aren’t able to do anything else if you are truly listening. I tried to explain that to someone recently and he kept insisting that he can do multiple things at once while listening.